Shirogisu, or Sillago in English probably has as many Japanese names as English names. 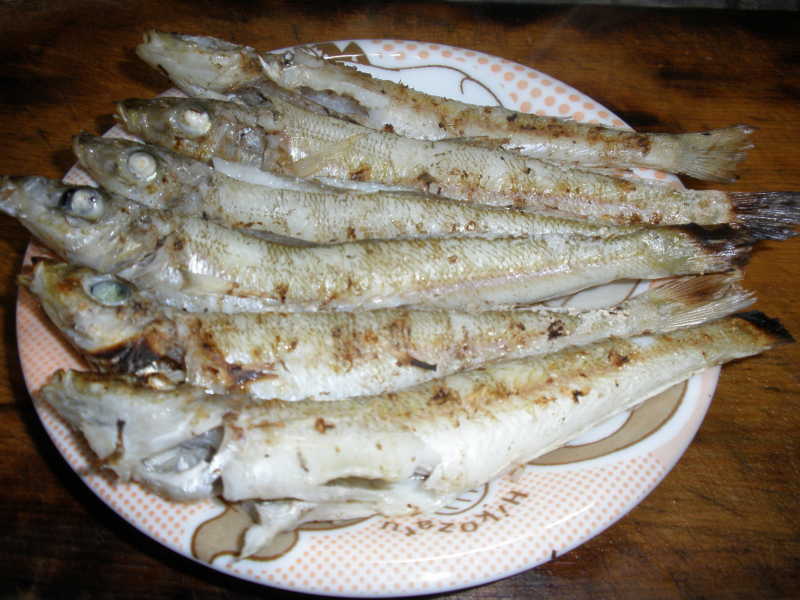 The Sillago found along the Japanese shores is also called sillago japonica, Whiting or Smelt-Whiting in english, Shirogisu, Kisu, Magisu and Kisugo in Japanese. 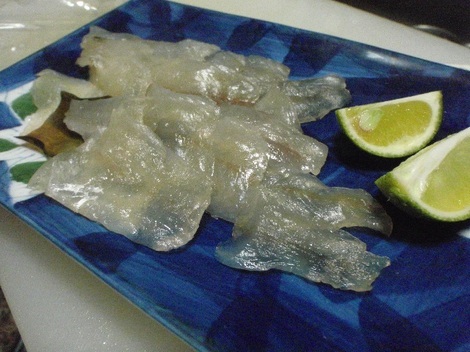 The best specimen in Japan are caught in Fukuoka (Kyushu) and Ehime (Shikoku) prefectures from Spring to Summer. It is also a sport angler’s favourite as they come in all sizes, although the everage will not measure much more than 10 cm. 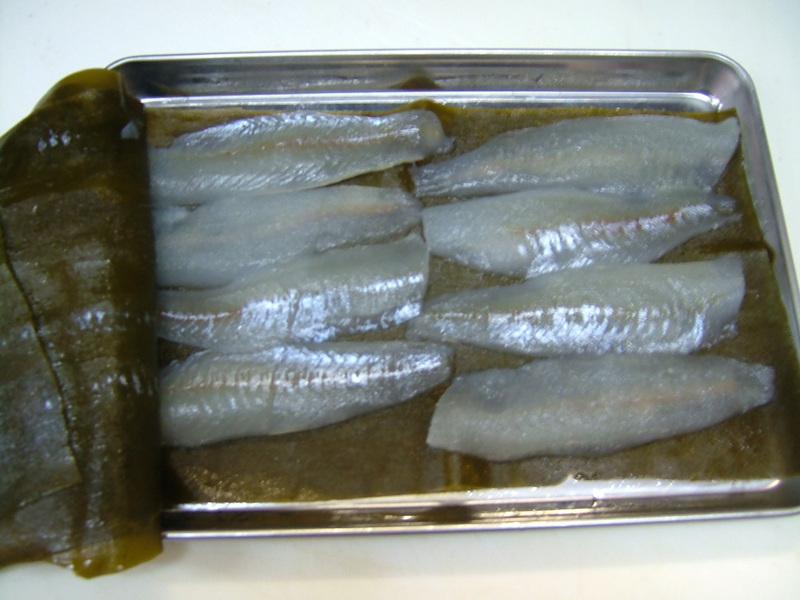 As konbujime, it will be matured between two sheets of wet konbu/seaweed to attain a sweet taste. As aburi/lightly seared, one can enjoy two different textures and tastes at the same time. Mind you, it is not easy to sear properly as the fillets are very thin! The greatest part of the sillago catch comes from Indonesia, Korea, Thailand, China and other Asian countries. 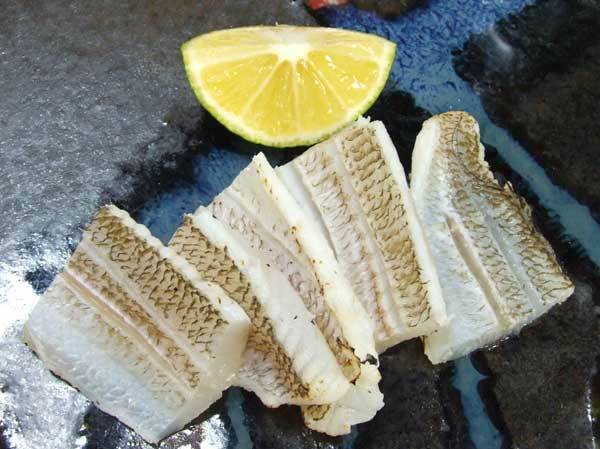 Fortunately, here in Shizuoka, we do catch a sizeable amount in Suruga Bay guaranting freshness in season. 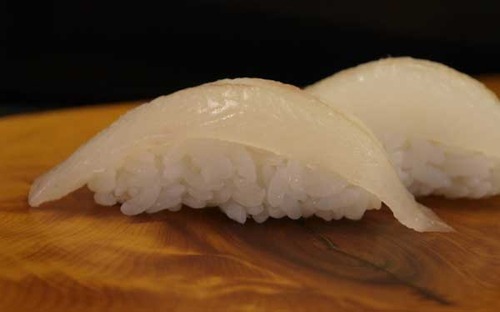 If absolutely fresh, shirohisu/sillago makes for an interesting morsel, the more for it as it is quite rare in this sushi nigiri form. Anglers will certainly appreciate it grilled on the stick at a BBQ on the beach with a nice pint of beer! 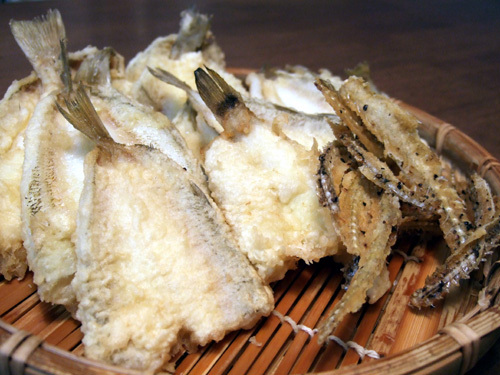 But the most popular way of savouring it is arguably as tempura or breaded and deep-fried, although the fish taste will vary greatly with freshness! But if absolutely fresh, don’t forget to deep-fry its bones and head! That brings back my memory of childhood in southern Taiwan. My father used to catch this every week on his fishing trips. He would slice them into sashimi or make them into nigiri. The leftover heads and bones goes to the soup stock for miso soup. Mom also deep-fried the whole fish. We ate them with tempeura sauce with grated daikon. The fried fish was eaten all, head and bone!